Mr. Knauff is an accomplished classical guitarist. Mr. Knauff is the Chairman and Chief Executive Officer of Energy Distribution Partners. Prior to that, he was a Co-Founder and former Managing Principal of Jordan Knauff & Company. He currently serves as a Special Advisor to the firm on specific projects. Prior to the founding of Jordan Knauff & Company, Mr. Knauff served as Executive Vice President of Business Development at Cornerstone Propane Partners, L.P. (NYSE: CNO, now a private company), following the acquisition of Propane Continental, Inc. (PCI), by Cornerstone in 1998. After overseeing the successful integration of PCI into the Cornerstone management system, Mr. Knauff assumed responsibility for Cornerstone’s non-propane mergers and acquisitions strategy. 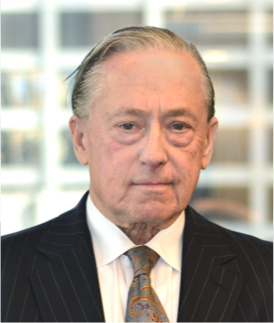 Mr. Knauff co-founded PCI in Overland Park, Kansas, in 1991, becoming the company’s President and Chief Operating Officer. PCI was created to consolidate retail propane distribution businesses in selected geographic regions of the United States. After securing the original funding from institutional private equity investors and a major commercial bank, he formed the PCI acquisitions team, closed 36 acquisitions over seven years, and managed the integration of the acquired companies. Before forming PCI, Mr. Knauff spent eight years at Ferrellgas Partners (NYSE: FGP), where he held several senior operating positions including Wholesale Division Manager and Retail Marketing Director. In 1986, he was selected to join a four-manager team created to integrate the $415 million (transaction value) leveraged buyout of Buckeye Gas Products Company. The Buckeye Gas buyout was the largest acquisition undertaken by Ferrellgas up to that point. At Ferrellgas, he was ultimately responsible for 150 retail distribution outlets, more than 650 employees and over $40 million in annual EBITDA (earnings before interest, taxes, depreciation, and amortization). Prior to 1981, Mr. Knauff held various positions in business management, sales, and marketing. Before joining Ferrellgas, he worked in the Kansas City, Missouri, division of a St. Louis-based distributor of industrial capital equipment. During his second year, he was promoted to General Manager of the Kansas City Division. Prior to that position, Mr. Knauff was a Communications Consultant within a unit of what was then the Bell System. Mr. Knauff is a graduate of the University of Kansas (B.A.) and was The M&A Advisor’s Equity Financing Deal-Maker of the Year in the United States for 2010.